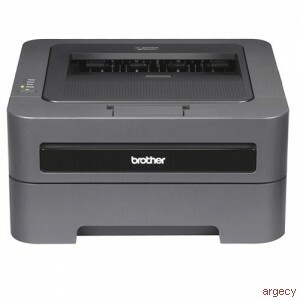 The Brother HL-2275DW is a monochrome laser printer that offers an automatic duplex capability for printing two-sided documents with ease, fast printing at up to 27 pages per minute, and built-in wired and wireless networking for sharing with others. It features a stylish, space-saving design that complements virtually any environment. In addition, it offers convenient paper handling via an adjustable, 250-sheet capacity tray. To help lower your operating costs, a high-yield replacement toner cartridge is available. Convenient mobile device printing. Print from your mobile device via: Brother iPrint&Scan and Cortado Workplace. Convenient paper handling. The HL-2275DW can meet all of your printing needs via an adjustable, 250-sheet capacity paper tray that handles letter or legal size paper and a manual feed slot for printing envelopes and letterhead. Outstanding customer support. The Brother HL-2275DW offers a 1 year limited warranty with free phone support for the life of your product. Unit Dimensions (W"xD"xH") 14.5" x 14.2" x 7.2"
Carton Dimensions (W"xD"xH") 18.7" x 17.9" x 13.0"
Unit Weight (lbs) <15.4 lbs. Carton Weight (lbs) 18.3 lbs.
. All trademarks, brand and product names are property of their respective companies. Windows Vista, Windows Server, Windows and the Windows logo are trademarks of Microsoft United States and/or other countries. Mac OS and OS X are trademarks of Apple Inc. registered in the U.S. and other countries.